5 Questions You Need to Ask About Your CBD Hemp Oil - Medical Marijuana, Inc. In recent years, cannabidiol or CBD has been a common topic on social media, in news outlets, and around dinner tables across the country. As researchers continue to explore the cannabis plant, the benefits of CBD for helping the body maintain balance are becoming clearer, leading many to seek out ways to supplement their diet with this useful cannabinoid. However, not all CBD hemp oil supplements are created equal. It is crucial to do the research necessary to ensure you are getting the safest and highest quality CBD supplements. Asking these important questions will help lead you to only the finest CBD hemp oil products – like those found in the Medical Marijuana, Inc. online shop. To protect against that happening, Medical Marijuana, Inc. sources its hemp from a collective of 750 farms in Northern Europe that grows our hemp free of chemical fertilizers, herbicides, and pesticides to ensure that our hemp isn’t exposed to any outside contamination that can affect our final products. Hemp grown for industrial purposes may be treated with harsh chemicals and solvents in the manufacturing process, leaving any resulting hemp oil unfit for consumption. Because our hemp is grown in ideal conditions to produce our award-winning CBD hemp oil supplements, we never use harmful chemicals in our extraction process. Instead, we extract our hemp oil using supercritical CO2, which the FDA considers GRAS or generally regarded as safe. This chemical process allows us to ensure that our CBD hemp oil supplements are always free from contamination to best protect the health of your family. Due to hemp’s identity as a bioaccumulator, it is incredibly important that any products made using hemp are properly tested for any outside contamination. Medical Marijuana, Inc. does just that – three times over – in order to produce the safest products on the market. Our Triple Lab Tested® process starts at our hemp’s harvest, where it is tested for outside contaminants. Following importation into the U.S., our CBD hemp oil is tested again by an ISO / IEC 17025:2005 accredited lab to check for microbes, mold, heavy metals, and other possible contaminants, as well as for potency of the cannabinoids present. Finally, after our hemp oil is formulated into our many products, they are batch tested to make sure that the final product is ready to be shipped to your door and safely used by you and your entire family. Read more about our Triple Lab Tested® process here. It is important to know the potency of any supplement you are adding to your diet. It is for this reason that Medical Marijuana, Inc. also tests for concentration of cannabinoids in our hemp oil, as well as for outside contaminants. Testing for the potency of our oil allows us to ensure consistent servings of CBD in our products. That means that the Medical Marijuana, Inc. products that you come to trust will be dependable every time, with the same reliable levels of CBD you count on. CBD hemp oil supplements are taken to promote homeostasis within the body. Why tamper with this balance by choosing a supplement loaded with artificial ingredients? Medical Marijuana, Inc. uses all-natural ingredients in all our CBD hemp oil products for a pure, healthful dietary supplement. These ingredients include botanical extracts like peppermint oil and almond oil and sustainable beeswax, coconut oil, and ginger root. Our commitment to high-quality, natural ingredients promotes well-being and preserves the balance our products were designed to create. 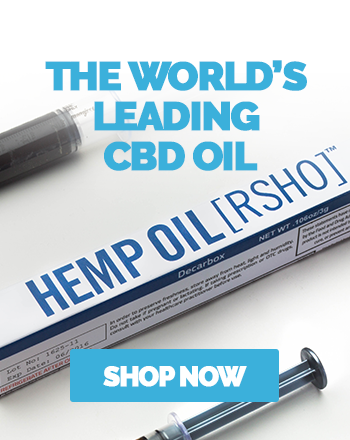 Learn more about CBD hemp oil and the cannabis industry on our news feed or shop our online store to get started with our CBD products today.